If you are looking for quick day trips from Addis Ababa, our list includes the best excursions which a day tripper can complete them in one day. Our Addis Ababa excursions and outdoor activities are composed of diverse things to see and do within half-day to full-day by private vehicle. Whether you are interested in nature, culture, hiking or beaches and lakes, there are many awesome ideas to choose from. Popular day trips from Addis Ababa for families and couples include the Monastery of Debre Libanos, Wenchi Crater Lake, Melka Kunture Prehistoric Archeological Site, Adadi Mariam Rock-hewn Church, Debre Zeyit, Tiya, Blue Nile Gorge and other great vacation spots. Destinations near Addis Ababa: There are a lot of tourist interests near Addis Ababa to those who do not have time for Ethiopia popular sightseeing tours. Some of those places of interest include the following attractions. MONASTERY OF DEBRELIBANOS : Found 103km north of Addis Ababa, the 13th century monastery of Debre Libanos (founded in 1260) exhibits mosaic figures and murals by the late Maitre Artist Afework Tekle. 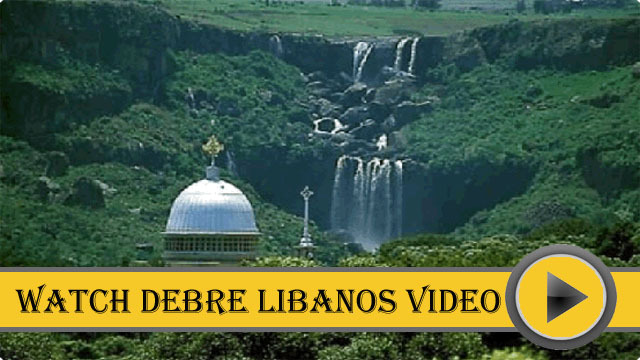 You can include the Blue Nile Gorge, one of the largest canyons in Africa and the Portuguese Bridge, which was constructed in the 16th century by Portuguese with your visit to the Debre Libanos Monastery. WONCHI CRATER LAKE : 157 km to west of Addis is located Wonchi, which is a breathtaking place . The small monastery on the island, name St. Kirkos Church, is said to have been built by Emperor Zara Yakob in the 15th century. Around the crater, enjoy a walk and find interesting birdlife and hot springs. MELKA KUNTURE :This archeological site is found near the bank of Awash River. It is one of the most important archeological sites Ethiopia has. ADADI MARIAM CHURCH :The rock-hewn church of Adadi Marian is a 900 years old monastery located at a close distance from Addis. Many historians believe that it is the replica of the 11-rock hewn churches of Lalibela. DEBRE ZEYIT : Debre Zeyit, a town built near deep crater lakes is only a few kilometers away from the outskirts of Addis Ababa. The five crater lakes that are located both, in and near the town are the most important tourist attractions at Debre Zeyit. The town enjoys a warm climate. It is a resort town. TIYA : The stone monoliths of the Tiya, which were registered by UNESCO as a World Heritage Site in 1980 is one the many archeological sites Ethiopia has. Several tools that had been used by people who lived during the Stone Age (dated back to the first quarter of the tenth century and the last quarter of the fourteenth) have been discovered at this site. According to many archeologists, the Tiya was used as a burial complex of the prehistoric era. These prehistoric monuments have symbol of sword and some other forms of decoration on them. Tiya is located roughly 80km southwest of Addis Ababa. After breakfast, drive northwest of Addis to see the 7th century old church of Debre Libanos (103km) which is situated on the edge of the gorge beneath a cliff and, the 16th century Portuguese Bridge. Drive to the nearest forest to Addis and the first state forest in Africa to see Menelik’s Bushbuck, colobus monkeys and duikers. Drive 90km southeast of Addis to Sodore, one of the best recreational resorts near Addis which lies along the Awash River. En-route, visit the crater lakes at Debre Zeyit. Drive 110km southwest on the Jimma Road to see the pre-historic Archeological Site of Melka Kunture, the Adadi Mariam rock-hewn Church which is believed to have been the replica of the 11- rock hewn churches of Lalibela and finally, the mysterious Tiya Stelae Field (a UNESCO World Heritage Site). Drive west of Addis to Wonchi to see beautiful Crater Lakes there where one can see the second most beautiful crater lakes next to the ones in Debre Zeyit. 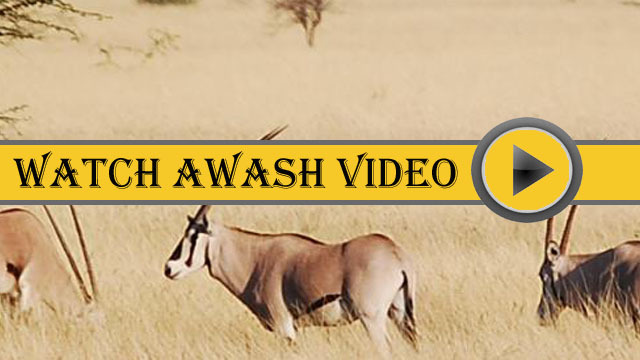 Drive 220km southeast of Addis to Awash to see wild animals such as beisa oryx, Salt’s dik-dik, Gazelle and more in addition to a variety of birdlife at Awash National Park, which is located in the Rift Valley in the dry acacia savanna. You will have also a chance to see the hot spring in the northern part of the park in this tour.